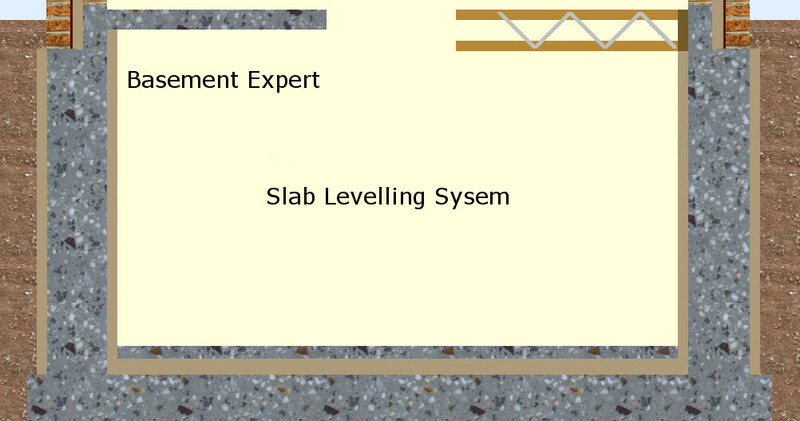 Slab Levelling rods and optional nuts. Three benefits. One unique advantage. 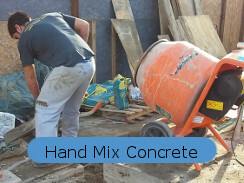 The more visual guide you have, the more accurately you can place concrete with just the right amount everywhere, reducing the amount of concrete you need to rake around. 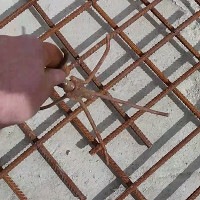 The more guides you have the flatter you can float your concrete. The flatter the concrete, the fewer and shallower any puddles later that you will be walking around in when you form your walls. 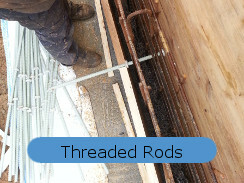 The unique advantage of these rods is they will be waterproof within your concrete for all time. Buy a 20mm SDS drill bit from Screwfix 1m long. That way you drill into your concrete blinding, between your tied steel bars, without bending over. Resin glue a fibreglass threaded rod every 2m or so. 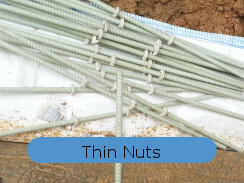 You can cut them to length first, cut them short and add an adjustable nut, or fix them in a bit long and cut them in place to top-of-concrete. I recently invented the simple solution that will also always be waterproof. A fibreglass rod cut accurately to the required concrete level. This will be fastest to set up. Just drill a hole, resin fix a rod, mark it with a pencil and the laser level, use a cordless mini grinder and 1mm thin blade to cut it off at the required level. The rod might be an offcut if you used my products before. 18mm diameter threaded rods made with fibreglass. You only need to get a long drill bit through the steel. I suggest 2m centres. 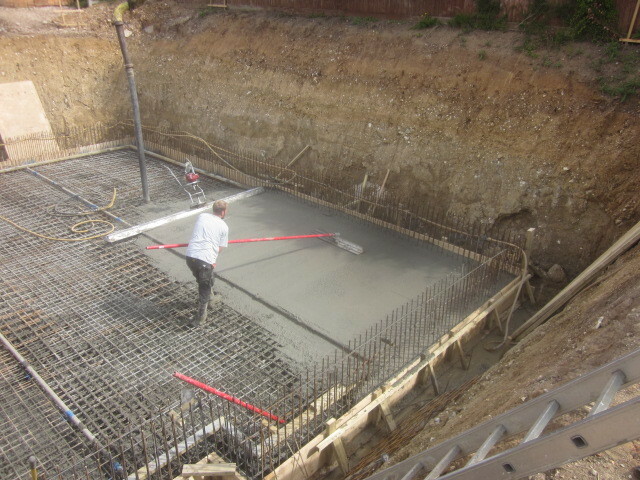 If you need to lay your concrete to a slight, controlled fall, say to a sump, then these rods will be invaluable. 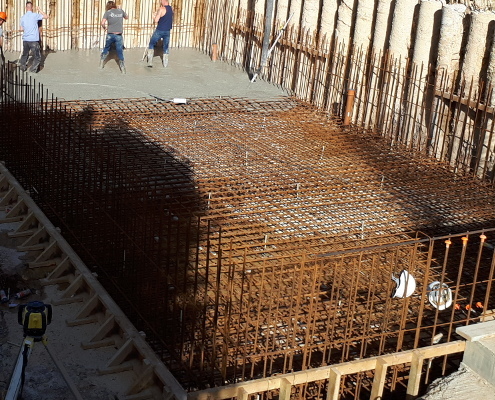 This slab took 50 cubic metres of concrete. 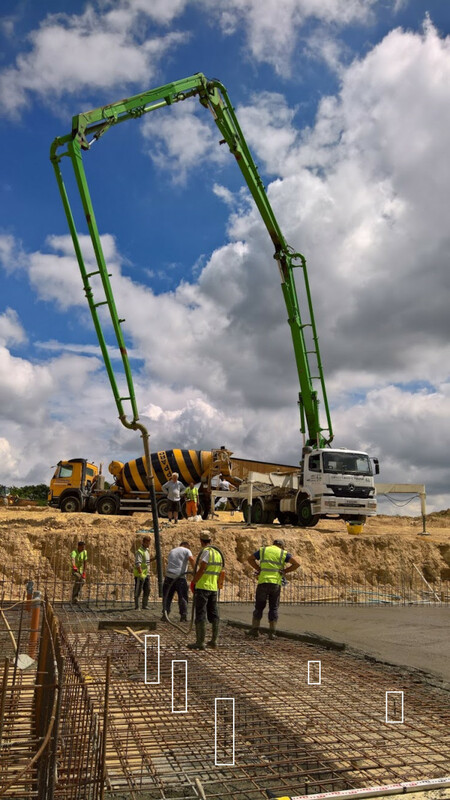 It was poured, compacted, levelled and tamped in only 2 hours or so because, with the rods as a visual guide and the laser to get concrete dead level, they had to rake very little concrete around. These are the more traditional ways. What's happening in this photo looks all very well until you understand all the issues with it. The scaffold pole is 50mm diameter, so it exceeds the 40mm cover specified by the engineer. There is an element of cheating, and not following the design is your responsibility not your engineer's. Support stools would not go through the steel. 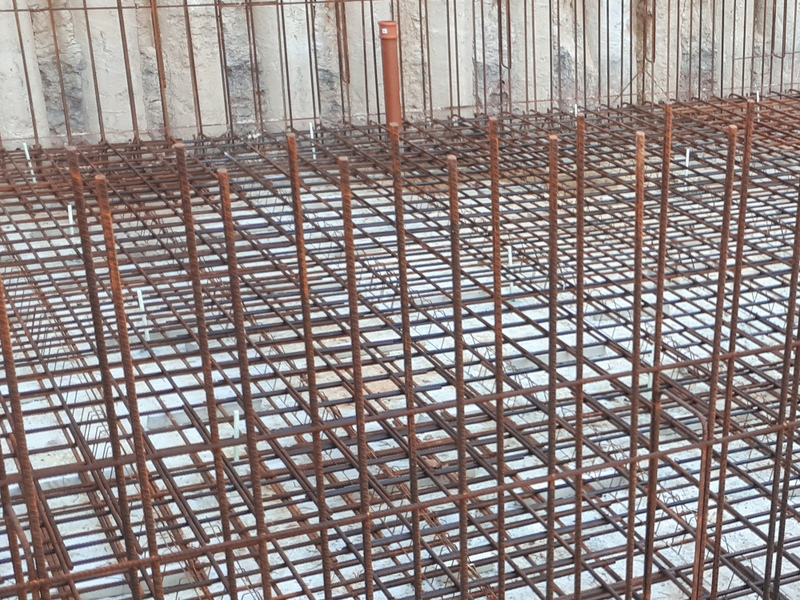 So although it looks like it will be a smooth finish, it won't be a level finish, because the poles are tied to the steel and where the steel is high the concrete will be high. Where the steel is low the concrete will be low and there will be a puddle that the team have to walk through when they form the walls, and wet feet all day are horrible. 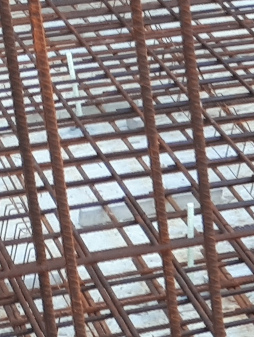 As the work continues, someone will have to walk through finished concrete to cut the tying wire and remove the poles. A steel support stool is in contact with non-waterproof concrete underneath. If it rusts through the slab will leak. 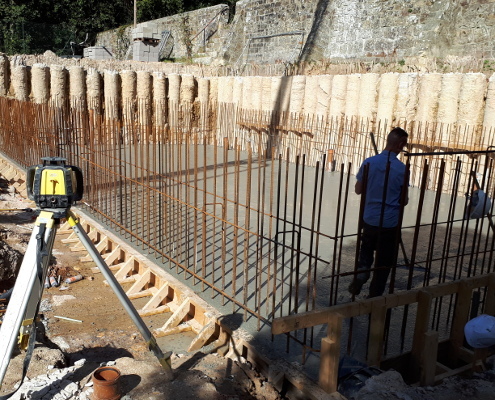 A much easier and better system for a basement slab only costs £2.50 for a metre long rod that you can usually cut into two lengths. The labour saving might be 10 times that cost. A basement floor slab always gets covered in insulation and screed because building regulations say so. Therefore you want it fairly flat and level. It does not need to be the pretty finish obtained with a motor driven tamp rail and Easy Float, as in the photo above.